After a bad start to the tournament that saw them lose their first three games Chris Lynn’s team finally seems to have found their rhythm. They have won two back-to-back games against Perth Scorchers and Sydney Thunder which would have surely lifted the confidence of the side. Their top order is back in form which is great news for the side. Lynn would hope his side continues with the same kind of form in the upcoming game as well. One more win can brighten up their standing on the points table which looked bleak just few days back. Brendon McCullum is back in form much to the delight of the whole team. Max Bryant has done well in the season so far and the two make a strong opening combination. Chris Lynn has been doing well in the season and this makes the top order look extremely strong. There are few concerns which remain with the middle order but Matt Renshaw and Jimmy Peirson together with Ben Cutting can take the opposition attack apart. James Pattinson has been shaping well and Brendan Doggett along with Josh Lalor makes a good bowling attack. But it is Mujeeb Ur Rahman’s presence in the side that adds teeth to their bowling. It has been a mixed bag of results for Tom Cooper’s side and he is likely to captain the side again as their regular skipper Aaron Finch reports for national duty. They would definitely be proud with the way they played in the last game defeating the best team of the season so far Hobart Hurricanes in their last game. They are sitting in the middle of the points table having won three out of their six games so far. The team needs to pull up its socks in the next game and rest of the tournament if it would like to find a place in the play-offs. Cameron White who hasn’t been in great form is likely to make a comeback and open the innings with Mackenzie Harvey in the absence of Finch. The middle order is looking strong for the side with Tom Cooper, Marcus Harris, Sam Harper and Mohammad Nabi. In Daniel Christian they have a perfect finisher and the side would draw immense confidence from this. The bowlers have been in good form for most of the season with Usman Khan bowling well. Kane Richardson and Jack Wildermuth have also bowled well and with good support from Cameron Boyce and Mohammad Nabi they should bowl well. The upcoming contest between Brisbane Heat and Melbourne Renegades at Gabba would surely be one of the most interesting contests of Big Bash 2018-19. Both the teams after struggling in the initial part of the tournament have found their form. 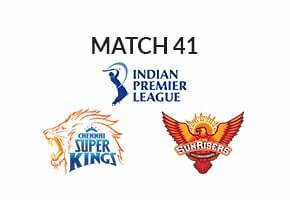 With an ignited hope of making it to the play-offs given the situation on the points table, both the sides would bring out the best game in the next match. There is little that separates Heat from Renegades in terms of form of the players and they are likely to give their best in the next game. The difference between the two sides is paper thin at the moment but Melbourne Renegades owning to their slightly better batting unit would find themselves nose ahead.